The attribution of darkness to the devil may disturb some believers today. But Luther was adamant. It was the devil who attacked Christ’s followers, every time: “All despondency and sadness come from the devil, for he is the Lord of death [Hebrews 2:14], especially when a person is sad and afraid as if God were an ungracious God. This is certainly the work of the devil and his machination.” A diabolical cause, however, did not rule out a divine: “For it is now recognized that the devil in spite of all his power is in fact nothing. Even if he were to gain all things, he is nevertheless only a creature of God.” Thus Luther denied dualism (the teaching that God and the devil are somehow equal in power, eternally struggling over the souls of humans). Luther loved this image of “the view of God from behind,” or even, in a variant that tickled his German sense of humor, “God’s back parts.” It is a wording based in Ex. 33:23, where Moses asks to see God’s face, and God tells him that he couldn’t handle such an encounter, but He would show him his back. One understands the bleakness and woefulness of Garrison Keillor’s caricature of Lutherans in the Lake Wobegone of his “Prairie Home Companion.” But this is an essential insight for Luther, and a reaction to what he felt was the late medieval church’s over-emphasis on what is seen—on relics, icons, robes, decorations in the sanctuary, a multiplication of visible sacraments, cathedrals built with a lavishness unknown even to the palaces of kings, and so forth. This, along with the scholastic theologizing which underwrote it, was all part of what L called a “theology of glory,” against which he opposed his “theology of the cross”—focusing on the essential paradox and scandal of a saving God who man who is born into poverty, rides into Jerusalem on the back of a donkey, and ends up being judicially murdered (the ultimate example of the hiddenness of God). When the church is tempted to strut, it needs to remember its humble origins and the ways in which God has used the foolish to confound the wise, the weak to overthrow the strong, and so forth. Thus experiences of Anfechtungen not only “make ‘room’ for faith,” (11) they also “help teach total dependence upon the promises of God” (as Teresa had discovered). For one thing, Luther counseled discernment: Coming out of this dark state of warfare, he had a word of council for others similarly attacked: “[When] Christ comes and talks to you as if to a sinner and tortures you like Moses: ‘What have you done?’—slay him to death. But when he talks to you as God does, and as a savior, prick up both ears.’” In other words, discern the voice of the Accuser from that of the Healer and Savior! Sometimes the devil acts on his own hook, and his words are not worth listening to. How redemptive did Luther really find these experiences of darkness? Remember that it was during his prolonged crisis of 1527, so intense and agonizing that his friend Melanchthon felt Luther actually came near to death, that the Reformer composed that hymn of faith, “A mighty fortress is our God.” How many since his day have discovered in that single song a bulwark against darkness and doubt? It seems that for Luther, as for Teresa, the dark nights of his spiritual life prepared and developed him for his vocation. In his Table Talks, his Sermons, his devotional writings and letters, he always speaks out of an intimate knowledge of the human condition. This entry was posted in Medieval Wisdom for Modern Protestants, Resources for Radical Living and tagged C S Lewis, dark night of the soul, dark nights of the soul, depression, Martin Luther, Mother Teresa, Roland Bainton, spiritual warfare, Spirituality. Bookmark the permalink. Depression and anxiety are actually mercies sent to humble a man and tear down the walls of his arrogance. I know this by experience and 30 years of addiction. On July 17th 1999 at 10:30am I was set at liberty. To the praise of the glory of His grace. You nailed it. 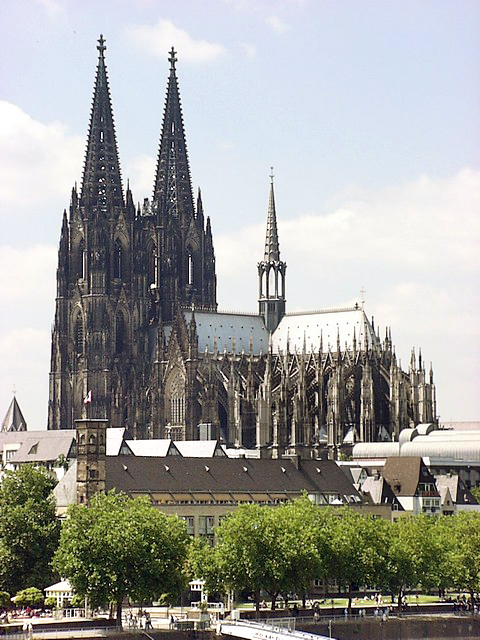 Luther’s mess was “right out there.” Perhaps it took a messy life to address a messy church. And then there’s my suspicion that Lewis’s modernist marrow forced him to tidy up and find meaning in something that continued to disturb him until his death three years after Joy’s. And that Teresa, however resigned and “joyful” she is supposed to have been after Father Neuner helped her “sort it all out,” actually continued to struggle with the darkness. Hard to imagine those things NOT being true for red-blooded, doubt-prone, emotional beings such as ourselves. Thanks for sharing, Dr. Armstrong. It seems that Teresa and Lewis make for better narratives containing a plot that climaxes and resolves. Luther is a mess. Teresa shows acknowledgement and growth after insight was provided by a helpful confessor. Lewis shared the process and struggle that allowed him to dig deeper into life and God. 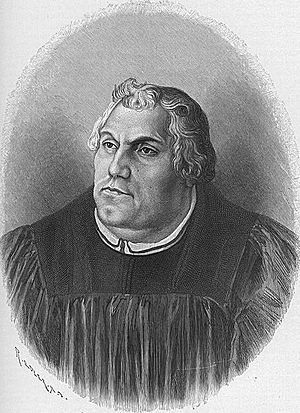 Then we have Luther who would suggest anything from introspection to inebriation. On one hand, it makes me concerned with what advice we can take from Luther, but on the other it makes me appreciate his honesty and open wrestling with inner and external struggles. There is a part of me that really would like to know what Luther’s final stance on such an ‘Anfechtugen’ experience… but there is a part of me that wants to be okay with the process more than the product. Blessings on your work and ministry.